President of North Korea until his last day and then proclaimed Eternal President of the country (DPRK), Kim Il Sung is referred to as the Great Leader by North Koreans who pay homage to him by visiting his birthplace; The Mongyongdae Native House.This place can be seen in many propaganda themes such as posters, books, plays and murals around the DPRK. 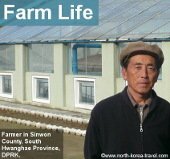 This rural house shows how Kim Il Sung spent his childhood years with family members and has photos of this period of his life thus being an important scenic spot in North Korea. President Kim Il Sung was born here on April 15 1912 referred to in the DPRK as Juche 1. His birthday is one of the main holidays in the DPRK. 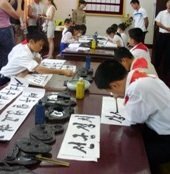 Please check the following link for details regarding our Kim Il Sung Birthday Tour. The oficial Eternal President of North Korea was the eldest son of his family. He left Korea at a young age and then returned after the liberation of the country in 1945. The humble, restored thatched house is now surrounded by well trimmed bushes, neatly mowed yards and an entrance more similar to that of a palace. The mudded wall house is divided into a barn and several living rooms. 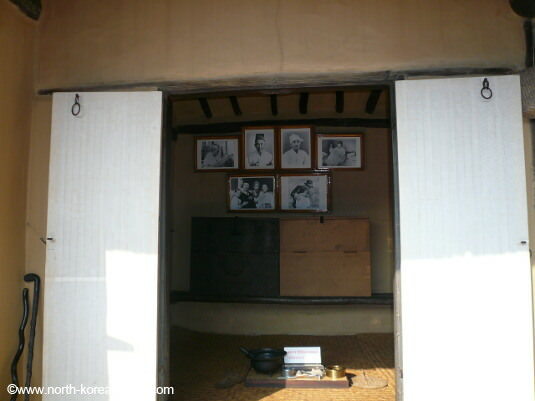 Several objects used by Kim Il Sung and his family during their lives remain there. Four generations of his family lived in this house. Next to the house there is a well used by Kim Il Sung's family where you will be able to drink fresh water together with North Korean visitors. The house is located only 12 kilometres away from the centre of Pyongyang and Kim Il Sung's grandparents lived here until the 1950s. On your way there you will be able to see the Mangyondae funfair. We usually arrange visits to the Kaeson Evening Funfair though. Important - as you are probably aware of, the figures of the Leaders Kim Il Sung and Kim Jong Il are highly respected in the DPRK. We must, under no circumstances, be disrespectful towards them, the country or the Korean people in general. 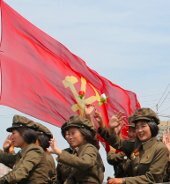 North Koreans are very friendly towards foreigners, something that surprises many, but they are at the same time a very proud nation and criticisms, jokes, etc regarding the DPRK are not to be made. Having said this, Koreans are more open than we expect regarding discussing matters about their country and that of other nations. We will fully brief you in Beijing regarding norms, regulations and expected behaviour before we depart to North Korea. Please click on USS Pueblo to go from our President of North Korea's birthplace page to see information on this incident that took place in the winter of 1968.